Bad Seamanship: Is that so? Picture the scene: The car carrier Hoegh Osaka has just departed from the port of Southampton, at which point the master calls up the mate and says that the ship did “not feel right”, to which the mate in charge at the loading computer replies “I am working on it”. Soon afterwards the vessel runs aground and eventually capsizes, leading to a catastrophic accident off the port approaches. The investigation into the case finds that the vessel was forced to leave the port without determining the final stability conditions. “What is a fundamental principle of seamanship appears to have been allowed to drift, giving rise to potential unsafe practices”, the report suggests. Ah seamanship! Here we go again. Such is the vividness of this term that it could explain almost any human action/inaction at sea. In everyday parlance, ‘seamanship’ is easily inter-switchable with a variety of terms: common sense, habits, ethics, established work practices, social norms, resilience, adaptability, improvisation and even the professional pride of being a mariner. But in this case, apart from revealing the magical power of the four aces (taken from the phrase “Alert, Awake, Aware and Assertive will avoid the accident”) the term has no real meaning. Once again, an oversimplified analysis has failed to engage with the commercial realities of global shipping and more specifically the influence of production pressure on decision making. But what about the pre-warnings of the accident, such as lower than expected metacentric height (GM) and the excessive listing of the vessel when the stern ramp was being lifted upon completion of cargo operations? Should these obvious indications of poor stability conditions not have been picked up by the vessel crew? Was it not a drift away from seamanship? The problem with erroneous stability issues, which in this case resulted mainly from wrong declaration of cargo weights by the shippers, is that they generally surface closer to cargo completion time. On the Hoegh Osaka, the excessive list became visible only 30 minutes before departure when the stern ramp was being lifted. By this time the pilot had already boarded the vessel. It should be noted that the vessel was already running behind schedule when it arrived at Southampton and further delays may have done more commercial damage beyond just port charges – it could have disrupted the planning for subsequent port calls in Europe. For a master who had been with the company for less than three weeks this may not have been an easy situation to face. One would imagine that plans and procedures should come helpful in such situations. But in the background of this enormous build-up of production pressure it is important to understand the implications of plans, procedures and checklists for individual decision making. In accordance with the vessel operations manual, a total of five checklists (involving individual 213 checks) were required to be completed for cargo operations alone. The investigation found that a number of these checks were of marginal importance to the extent that they served as a distraction from carrying out critical tasks prior to departure. But there is one specific problem with plans, procedures and checklists that needs to be understood in this context: When events do not necessarily unfold in accordance with procedures and checklists it is a well-honed human tendency to seek confirming evidences and ignore information that is inconsistent with plans and procedures. Interestingly, as the pressure intensifies, the tendency to seek confirming evidences and appease oneself increases even further. A typical response to overcome such a stressful situation would be ‘it has always worked, so it should be OK’, or ‘we can fix this problem as soon as we leave the port channel’. Accidents in both aviation and health sector have shown that the room for entertaining doubts, questions and reflections narrows down during high levels of stress. And in a hierarchical set-up such as a vessel it would become even more difficult for those in lower ranks to voice concerns against the decision of the master. The trade-off between plausibility and accuracy of a decision could easily be mistaken for an individual’s capabilities (another word for seamanship!). But in essence, the choices made are deeply influenced by the priorities of the top management in the face of competing goals of safety and economics. None of these is obvious from the vision and mission statements, audit reports, maintenance records, or any kind of formal record keeping. Understanding this requires a deeper understanding of the mixed messages from the top management. ‘Safety first but don’t be late’, ‘our aim is zero accidents and zero downtime in port’ or even better ‘make haste slowly’. It also requires asking some difficult questions such as: when was the last time the master exercised his overriding authority to delay the vessel for safety reasons? How did the organisation respond to the decision of the master? What behaviours are considered worthy of bonuses and rewards? Who gains respect and attention of peers and whose opinions are parked aside as unrealistic and out of date? What does success mean and how is it shared within the organisation? Is the top management willing to engage with bad news or is it just the success stories on their wish list? Every decision is a choice between conflicting goals based on limited time, constrained resources, incomplete and incomprehensible knowledge (of an endless list of rules, regulations and procedures) that faces an uncertain future. Think back to the 213 checks onboard for cargo operations alone – some compromises had to be made or the ship would never have sailed out. This is not bad seamanship leading to unsafe practices. On the contrary, it is years of accumulated knowledge and experience at sea that helps rationalize and prioritize certain checks over others in the face of intense production pressures. In fact, this is the core of the efficiency thoroughness trade-off (ETTO) principle. 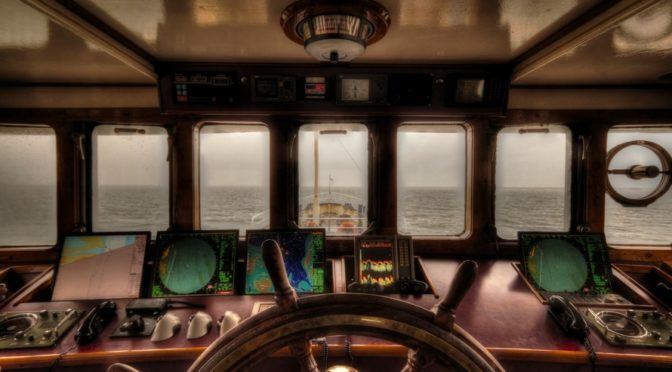 A seafarer is expected to be efficient to cope with the production pressures until such time as something goes wrong and his actions are criticized for not being thorough enough in hindsight. But think about it. The same ETTO principle also applies in the case of an accident investigation that opts for an oversimplified analysis when faced with a highly ambiguous and complex situation. And importantly, it is convenient for industry to accept such simple explanations without having to undertake a thorough review of the case. In most cases, efficiency beats thoroughness. So the next time you hear someone say ‘poor seamanship’ in the wake of an accident slow down, reflect, and dare to ask a simple question ‘is that so’? Very good start: seamanship is another one of those abstractions used in safety work that is hard to “fix” after the fact. But wouldn’t it be interesting – and useful – to see a comprehensive listing of ALL the influences which affect vessel/port operational decisions, and see how resilience is built into the systems to accommodate each influence and combination of influences that happen to be “out of system design expectations” – which should be exposed by good incident investigations. This is not a criticism of main thrust of the piece, but for example I didn’t see tidal, wind, ballast, maneuvering or ocean influences mentioned in support of the critique. – when there is a gap between Work as Imagined and Work as Done who on board ship can bridge that gap – can ‘juggle’ the competing demands of production and protection? – with these type of disasters we continue to relearn Churchill’s Four Rules: Why didn’t I know? Why didn’t my advisors know? Why wasn’t I told? Why didn’t I ask? The Costa Concordia recently, was an example of management endangerment to the loss of a vessel and passenger lives; much in the way that the loss of Vasa was four hundred years earlier (https://en.wikipedia.org/wiki/Vasa_(ship)). There should be no more ships at sea than their are Seaman to guide their operations. That’s the calculus that owners (including such as Deepwater Horizon) should be severely held to account. 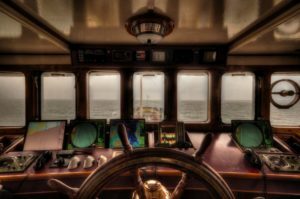 From my experience, there are typically more people sailing with qualifications, licenses and certificates much higher than what their position is or what the organization has opportunity for. I can recall several occasions during vessel inspections when the 3rd Deck Officer was carrying a Master, Unlimited license. In short, it takes the decision making, or roll of the Vessel Master, off the ship and in the offices far away from the risk interface. Certainly NOT unique to the marine industry but perhaps the marine industry, or this case, highlights the influence and hazards created when decision-making and budgetary constraints are developed that take effective resilience away from where it’s critical to maintaining safe conditions. The Somali pirates are another good example. When the Master of the ship wants to sail outside the reach of pirates but the Controller sitting 3000 miles away calculates fuel costs and the few additional hours of transit, guess who wins the course charting challenge? If THAT Master doesn’t want to adhere there’s a line of replacements willing to “roll the dice” to benefit their careers. To be fair, those decisions are simply addressing market demands in an impatient world that wants what it wants when it wants it and is incapable of considering the “greater good.” There’s also our new found reliance on technology to make the decisions that remove or greatly distance our abilities to control or recover. I’m certainly no Luddite, but I do very much believe we’re moving beyond our capabilities and abilities without understanding many of the fundamental considerations that would have prevented our mistakes in the past. I remember back in the early 90’s, when GPS was finally getting popular. I was on a freight ship and asked the Commodore of the shipping company what he thought of GPS. He told me then that his deck officers used to use their sextants to confirm the GPS was working and accurate. He went on to say that they then transitioned to using the GPS to confirm their calculations and use of the sextants to the point that they no longer used their sextants. I honestly don’t think that seamanship had any more to do with this instance than it did with the Herald of Free Enterprise leaving Zeebrugge, Begium or when the Estonia ferry sank on her voyage home. If your final comment is true enough then surely you are correct only because the notion of seamanship has been relegated to the insignificance – nothing more than the ability to pass a test and then stand ready to take any risk your more prudent colleague refused. Safety indifferently we might call it. Next thing we know the capitalists will be denying climate change! That’s our challenge isn’t it? We can typically all decide on what the absence of safety looks like. It’s sifting through the varying interpretations of what safety “is” and then aligning the collective commitment to that definition where the rub comes in. I would also add that the licensing criteria is based on a solid balance of experience and education…more than just test-taking skills. What I was trying to communicate, perhaps poorly, is the dearth of professional maritime opportunities, particularly when talking US flagged vessels. It’s that delicate balance where the individual says “I can” when others won’t or can’t that places them into the binary “Winner-Take-All” opportunity that creates these scenarios. From a safety differently approach, I prefer decision-making involvement from within those affected by the outcome. I also believe that these are the instances when organizational values are truly tested. Like the individual, inconvenience and degrees of dissonance are the true measures of those values.